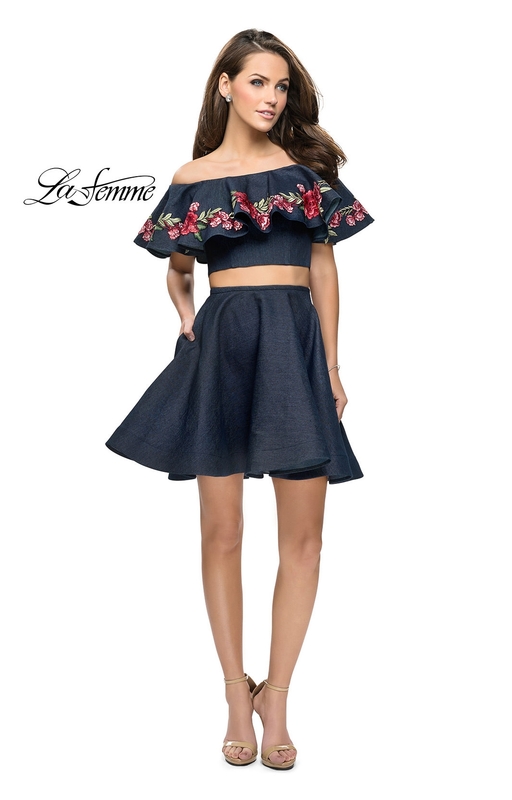 Show off your style in La Femme 26627! 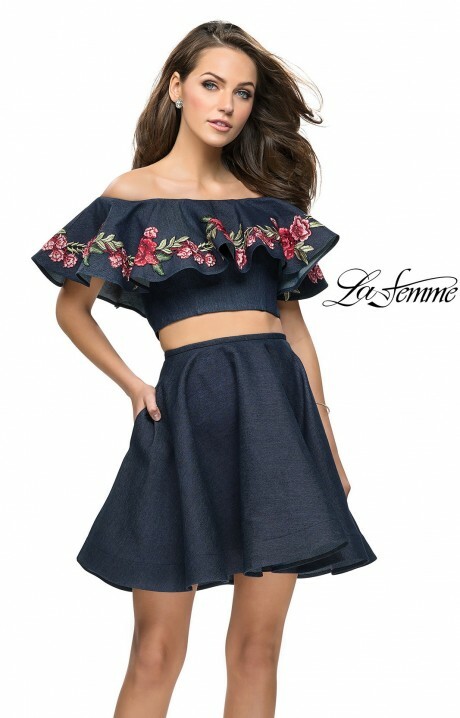 This super cute two piece dress is constructed of denim and has a an off the shoulder cut to it! 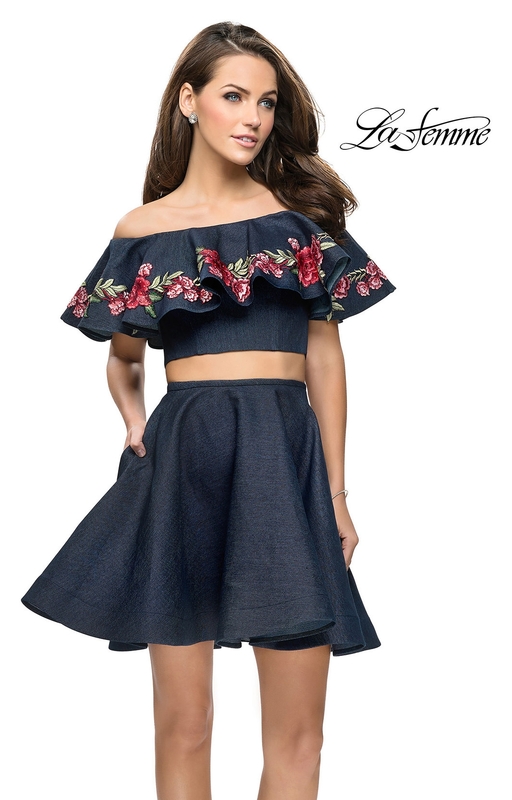 The ruffle over the bodice has intricate floral embroidery all the way around. 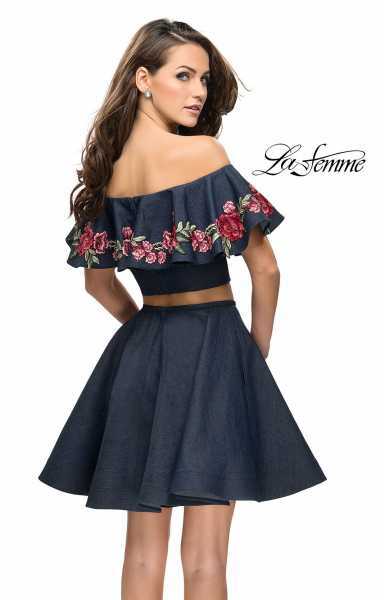 Added bonus, the skirt has pockets!